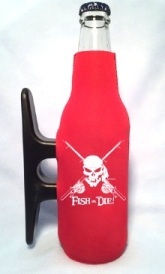 Jumbo White "FISH or DIE!" 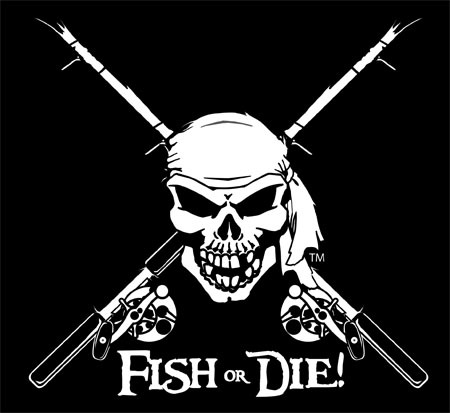 Fishing Decal - White vinyl decal with highly detailed Pirate Skull and Crossed Fishing Poles...Ideal for windows on watercraft, vehicles, you name it! Great look! 15" at biggest dimension. 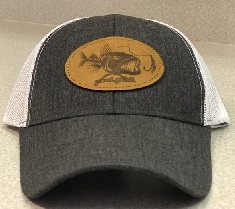 Take no Prisoners with this awesome fishing decal!